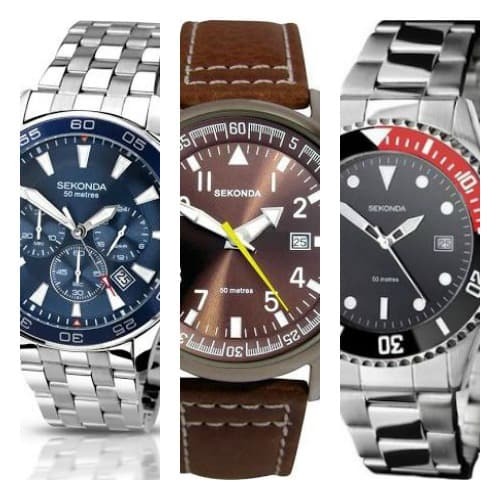 Hello everyone, today we’re going to be taking a look at some of the most popular affordable Sekonda watches that features a 50m water resistance rating. 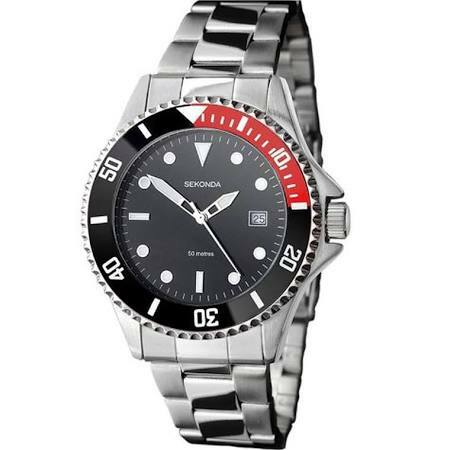 Sekonda 50 meter watches are pretty popular, the provide a good level of water resistance and are often fairly affordable. Below I’ve provided just a small sample of some of the most popular designs available. 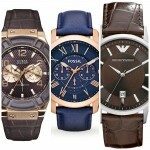 Hopefully this will help you get an idea of what it is you want from your next Sekonda 50 meter watch. If you have any questions about any of the affordable Sekonda watches features in this list, just comment below and I’ll answer as soon as possible. 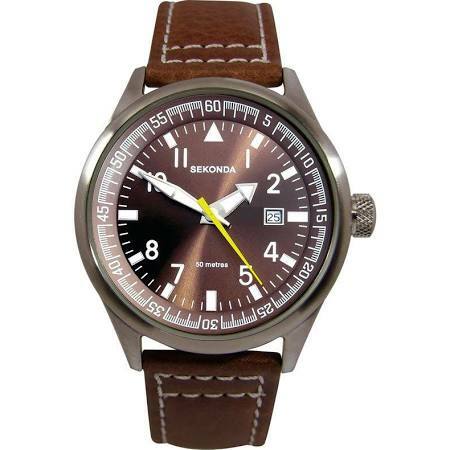 First up on our list of the most popular Sekonda watches with a 50 meter water resistance rating is this affordable aviator style timepiece. 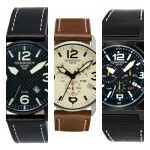 This is a very popular starter watch that’s nice and cheap. It has a high visibility dial with bold contrasting hands and hour markers. The casing of this Sekonda watch is made from stainless steel and has a 42mm diameter with an 11mm thickness. The strap is made from a soft genuine leather and fastens with a buckle style clasp. Powering the watch is a Japanese quartz movement for reliable and accurate timekeeping. And of course the final point, it features a 50m water resistance rating. 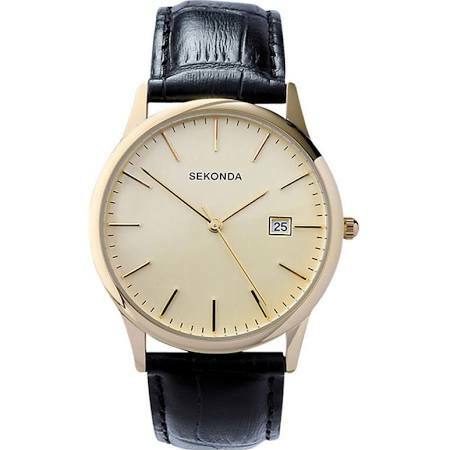 Here we have another affordable Sekonda 50 meters watch. This model has a nice high contrasting high visibility display with dot style hour markers and bold white hands. A key design feature of this model is the popular Pepsi style bezel. The casing is made of stainless steel with a 39mm diameter and 11mm thickness. The strap is also made of stainless steel and fastens with a standard fold over style clasp. A reliable Japanese made quartz movement powers this affordable Sekonda watch. This model also features a 50 meter water reisstance rating. This next Sekonda 50 meters watch is built with a classic style finish on a PVD gold plated stainless steel casing that measures 37mm in diameter with a lsim 8mm thickness. The dial features these slim hands and baton style hour markers as well as a small date display at the 3 o’clock position. The strap is made of a black genuine leather and fastens with a buckle style clasp. Powering the watch as expected is a Japanese made quartz movement for reliable timekeeping. This classic Sekonda watch also features a 50 meter water resistance rating. 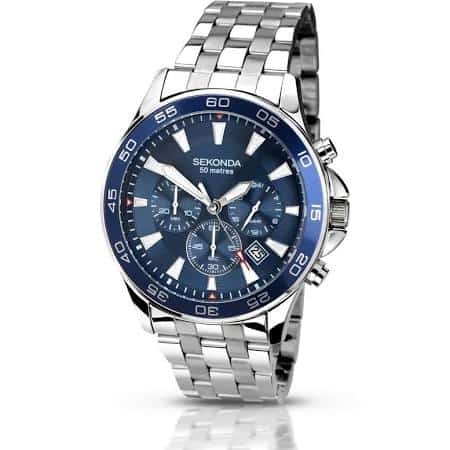 Next up on our list of the most popular affordable Sekonda 50 meter watches is this large chronograph style timepiece. It features a stainless steel casing with a 43mm diameter and 13mm thickness. The large blue dial has bold high contrasting hands and hour markers for better visibility. Like the casing, the strap is also made of stainless steel and fastens with a standard fold over style clasp. Powering this affordable Sekonda watch is a Japanese chronograph quartz movement. It also has a 50 meter water resistance rating. This last Sekonda 50 meter watch has a large PVD rose gold plated steel casing that measures 42mm in diameter with a thickness of 13mm. It features a chronograph display with tacymetre, date function, and clear hour markers on a silver coloured dial. 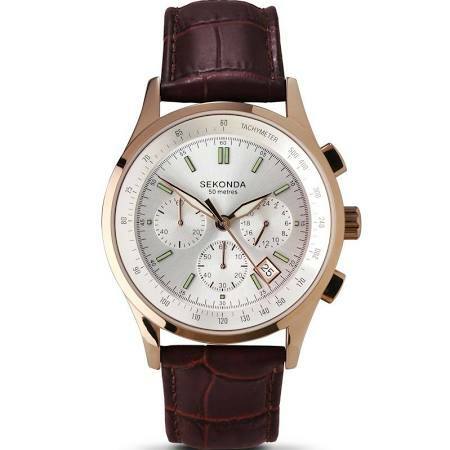 The strap of this affordable Sekonda watch is made of a soft genuine leather in brown. The watch is powered by a reliable Japanese quartz movement and has a 50 meter water resistance rating. 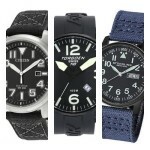 Thanks for taking the time to read through today’s list of Sekonda 50 meter watches. What was your favourite model? Comment below and let me know.